Load cell hire, we have a complete range of load cells for hire ranging from the small 5 tonne units to the very large 100 tonne units. All load cells are calibrated and tested ensuring all are ready to go and accurate. 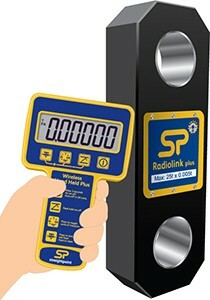 Most units come complete with a radio control pendant though some do come with wire pendants. All load cell hire comes complete with shackles if required.